Donald Trump is right—the United States is not in a trade war with China. At least, not yet. As the rhetoric has flown back and forth between Washington and Beijing, breathless news coverage has made it seem as though the war of tariffs has already begun. It has not—hardly any new duties have been levied. At most, the world is in its July 1914 moment, with the clouds of trade war gathering but shots not yet fired. We’ll know soon enough whether that is indeed the correct historical analogy. For now, the war is just words, and it would be best for the planet if that’s as far as it goes, because the only way to win a trade war is not to fight it. For many, the line between words and actions has dissolved into nothingness. Beginning with Trump’s early March Twitter bravado (“trade wars are good, and easy to win”), continuing with the announcement of tariffs first against steel and aluminum, and then against approximately $50 billion in imports from China, and then on Thursday with a possible further round on $100 billion more, financial markets have sold off sharply with each new salvo, keying off everything from tweets to detailed lists published by first the U.S. government and then by the Chinese government of exactly which products would be subject to what duties. Here’s a reality check: The announcement of levies against global steel and aluminum imports in early March led to the implementation of those levies on March 23, except that a full 50 percent of all U.S. steel imports (from Brazil, South Korea, Mexico, Canada and others) were then exempted from those tariffs. China then announced retaliatory tariffs as high as 25 percent on $3 billion of U.S. goods. Here too, the reporting has often been fuzzy: 25 percent tariffs on $3 billion of goods amounts to $750 million. What has actually happened? The U.S. is levying perhaps an additional $5 billion of tariffs on global steel and aluminum, which China is responding with less than $1 billion of its own. As a proportion of the nearly $19 trillion U.S. economy, that amounts to less than 0.0003 percent. As a proportion of the combined U.S. and Chinese economies, the number is insignificant. Even the larger figures recently threatened, on $50 billion of Chinese goods including consumer items such as flat screen televisions—and China’s proposed retaliation on an equivalent dollar amount of U.S. exports including pork and soybeans—represent perhaps $25 billion tax on a reciprocal trade relationship that last year amounted to nearly $700 billion. Let’s say that goes even higher based on recent escalating rhetoric and threats. The numbers are still modest in the greater scheme. If this is July 1914, it is a July where the third cousin once-removed of the Archduke of Austria-Hungary was assassinated, three battalions of Austrian and Serbian troops were dispatched to the border and the rest of the continent enjoyed its summer holidays. The words just now are a shadow of the actions that most of us rightly fear, and it is vital that we all take a deep breath and make a concerted effort to distinguish threats, bluster and modest action from a global trade war that echoes the retrenchment of the 1930s. The infamous Smoot-Hawley Act of 1930 levied duties of close to 60 percent on nearly 20,000 products, leading U.S. trade with the world to plunge nearly 75 percent. That was a trade war. What we are seeing today might be the first signs of one, but we are a long way from real conflict. That makes it an opportune time not to go any further. It may be, of course, that the Trump White House has in this arena found an ideal outlet for its tendency to speak loudly and carry a small stick. China’s response to the threat of broad tariffs has been to immediately threaten its own measures, while agreeing that now is the time to revise many past practices. 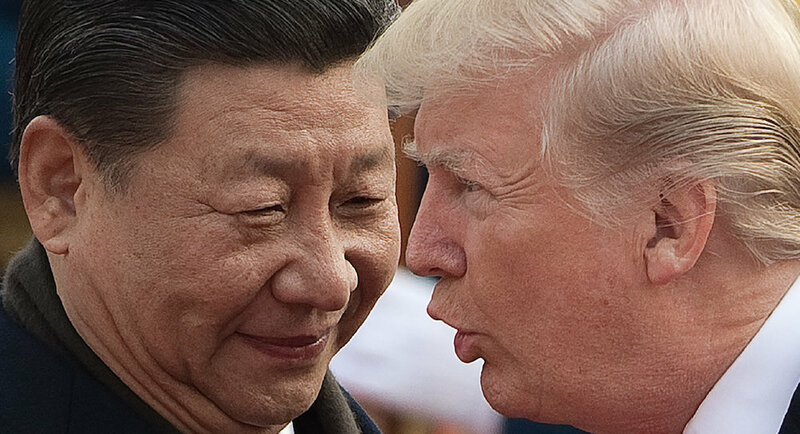 One of the main goals of these announced tariffs is to retaliate against China for years of forced intellectual property transfer and dubious requirements that companies setting up production lines or business in China must have a joint venture partner with a significant stake and then transfer IP to that partner. While China released its own list of possible tariffs, high-level government officials have also signaled their willingness to review its past mercantile trade practices. Thus, it might be that, as new economic adviser Larry Kudlow said several times this week, there will be no tariffs, and hence no trade war. If indeed that is how the next few months unfold (and by law it will be months before any of the nonsteel and aluminum tariffs are actually put in place), then the White House will have succeeded in using the threat of tariffs as an effective tool to force some changes in the U.S.-Chinese bilateral economic relationship. That undoubtedly will be treated as a victory. And yet, ending years of Chinese infringement of American intellectual property will not do much to ensure U.S. competitiveness or prosperity in the years to come. Nor will a somewhat more open Chinese market for American goods. China is becoming a domestic economic powerhouse, making much of what it needs for itself and spending tens of billions on artificial intelligence research, clean energy innovation and next-generation telecommunications, along with the trillions it intends to invest in global and domestic infrastructure. U.S. tariffs may annoy China, and they might dent the $700 billion in U.S.-China trade, but the endgame is not a glorious recreation of the 1950s with America a global powerhouse and the rest of the world struggling to catch up. Trade statistics are highly problematic—we tend to fixate on the hundreds of billions of dollars of U.S deficits, when in fact a large percentage of that is U.S. companies assembling items nominally “made in China” and then selling them in America. The iPhone is perhaps the best example. It is treated as a U.S. import from China at its announced import price of more than $200, but as many economists have shown, only a fraction of that goes to China. The rest is distributed among global suppliers and Apple itself, but arcane “country of origin rules” make it seem otherwise. That is true for almost all products others than commodities and agricultural goods. Our current trade numbers reflect supply chains of the 1950s but how goods are actually made in the 21st century. That is in part why China’s possible tariffs against U.S. commodities could hurt more than U.S. tariffs against Chinese goods: Our pork and soybeans are basically all-American, whereas a goodly portion of Chinese imports have parts from countries around the world sourced by American companies domiciled in the U.S. The final problem with the tariffs is that China is the fastest-growing export market for American goods and perhaps the largest potential market for U.S. services. Those services include Chinese tourism to the United States and Chinese students studying here, whose economic ripple effects are surely under-reported (a Chinese student paying rent shows up in no trade number, for instance). And those numbers don’t include China investing tens of billions in the U.S. to buy companies with its surplus dollars, nor its trillion-dollar investment in U.S. bonds. All of those promising, fast-growing economic avenues are threatened not just by U.S. tariffs but by a plethora of White House policies that make the United States less welcoming to foreign capital and business. Those include more onerous restrictions on student visas and more limitations on foreign investment, such as the recently nixed $100 billion semiconductor deal, which would have seen Qualcomm acquired by a Singapore company with deep business in China. Yes, as the administration is fond of reminding, the United States remains a global market like no other, but with multiple economic centers emerging, the U.S. is not nearly as central as it was. Foreign countries and businesses have more options and more markets than ever, and the more friction the U.S. creates, the more attractive those options become. Starting a trade war with a series of pallid actions is, therefore, the ultimate mistake. It interferes with one of the fastest-growing import and export markets in the world for the United States without generating nearly enough actual revenue to make a difference except to the already vulnerable domestic American industries and consumers that are purportedly protected. It does little to halt China’s future trajectory as a domestic innovator with its own intellectual property that relies less on the United States than in the past, and punishes China for acts already committed that cannot be retroactively reversed. Trump’s hot rhetoric may prove successful in the very modest sense of preventing some of the past abuses. Given the changed nature of China’s economy, that won’t matter nearly as much going forward even if the abuses continue, but some adjustment on China’s part would at least restore some level of trust between the two countries. That would certainly be for the best. It would also be a small step for such a large threat, compared with the much greater harm that might result. If, on the other hand, we do plunge into an actual trade war, the U.S. is unlikely to emerge stronger and China is unlikely to weaken. The only way for Trump to win his trade war is if it is never fought.